He resides in the Smouldering Lake, within the Catacombs of Carthus. 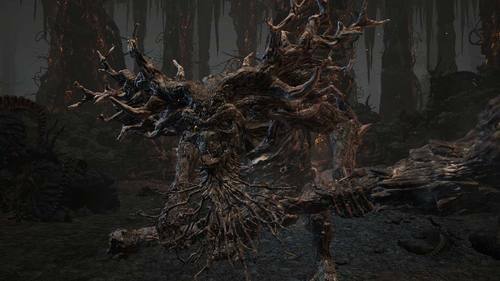 The shriveled Old Demon King is now like a clump of burnt ash, but he is the last living witness of the Chaos of Izalith. Great Hammer of the Old Demon King. This weapon has survived since old Izalith, and is imbued with remnants of the Chaos Flame. Anchor weapon in earth to temporarily boost poise, and use strong attack to repeatedly stab earth to trigger molten explosions. Traces of the tumultuous seedbed that birthed the beings known as Demons. Hurls chaos flame that scorches vicinity. Demons born from fire bore its smoldering essence and perished soon after. Man shares this rapport with the flames to this day.